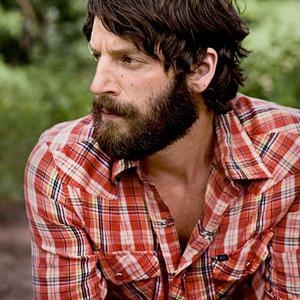 Ray LaMontagne (born June 18, 1973) is a folk singer-songwriter currently living in Wilton, Maine. He is currently the lead singer of Ray LaMontagne and the Pariah Dogs After hearing a Stephen Stills song, Treetop Flyer, he decided to quit his job and pursue a career in music. He has since released three records, Trouble, Till The Sun Turns Black, and Gossip In The Grain. A soft-spoken person who is known for his raspy voice, LaMontagne has won a number of awards for his music and has performed at several charity events.